Muhammad Ali once proclaimed to the world at large that his rival, the celebrated boxer Joe Frazier, was so ugly that every time he cried the tears would stop, turn around, and go down the back of his head. Proof positive that no matter the arena or form, be it written, spoken, or thrown, Ali didn’t pull punches. And when he talked through a microphone or to a reporter with a pad, he tended to speak with a stage performer’s flair, because he knew that people really listened when he spoke, that his voice and his words would be in thousands of newspapers, magazines, and on billboards worldwide. But that was the old (younger) Ali. I imagine it must still be bizarre to those who knew him in his heyday to see this man, once an immutable force of fists, words, insults, kindness, and charisma, slowly muzzled by time and Parkinson’s disease. There is a universal truth about life that eventually everyone loses a piece of themselves, their physical strength and mental acuity, to time, age, and disease –but very often the most significant thing they lose is their very own voice. Ali’s gradual decline put a famous, familiar, and unforeseen face on this unavoidable reality. His family prepared for that reality, having drafted a power of attorney (POA) prior to Ali’s decline so that they (the attorney-in-fact, who in this case was his wife Lonnie) could have the legal ability to manage his affairs. Timing is crucial when it comes to drafting a POA, as it is only valid if the person signing the POA is of sound mind, meaning the person is able to understand what they are signing. And they must do it by choice, without what the law calls undue influence – not pressured into signing the POA. A pleasant thing about creating a POA is that the person creating it has a final opportunity to voice their wishes. They can narrow it or broaden it however they want. 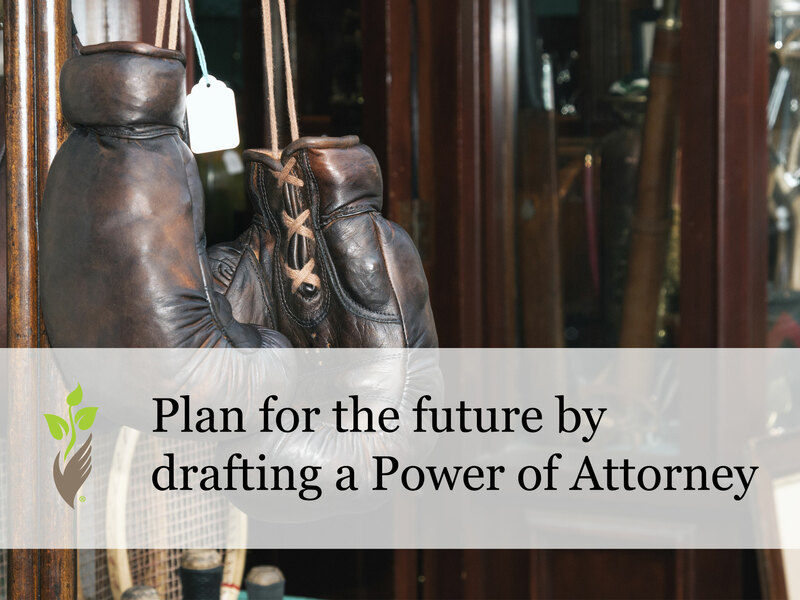 The POA can dictate everything, for instance what the attorney-in-fact may do with the person’s property, or how much the attorney-in-fact may be paid, or even how long the attorney-in-fact may hold on to their powers. If the POA wasn’t drafted prior to the mental deterioration, then the path to take would be to petition the courts to assign or appoint a legal guardian. The guardian would have powers similar to an attorney-in-fact. The difference between a guardianship and a POA is that the person within the guardianship has no voice in the matter. The key is to act in time, and to realize and preserve a voice and a plan, for a future where time, age, and disease prove to be a foe too formidable.